Traveling in Costa Rica is one of life’s great privileges, and The Tico Times has been proud to inspire, guide and report on hundreds of thousands of readers’ voyages since 1956. In that role, we have a responsibility to provide as much useful information as we can about topics both big and small – practical minutiae such as where to catch the bus to Santa Teresa, and bigger issues such as what safety issues visitors should be aware of when they come to Costa Rica. The issue of safety is one many of our readers have commented on or contacted us to ask about during the past year, especially following high-profile crimes involving tourists. I’ve fielded many such questions professionally as well as personally, when friends who are visiting the country ask for my assessment. It’s always a balancing act. I would never want to dissuade anyone from experiencing a country I love, or from fully experiencing its incomparable destinations. At the same time, I do want to be honest about the country’s significant problems, as well as to instill a certain wariness: to urge visitors not to leave their common sense and radar at home. 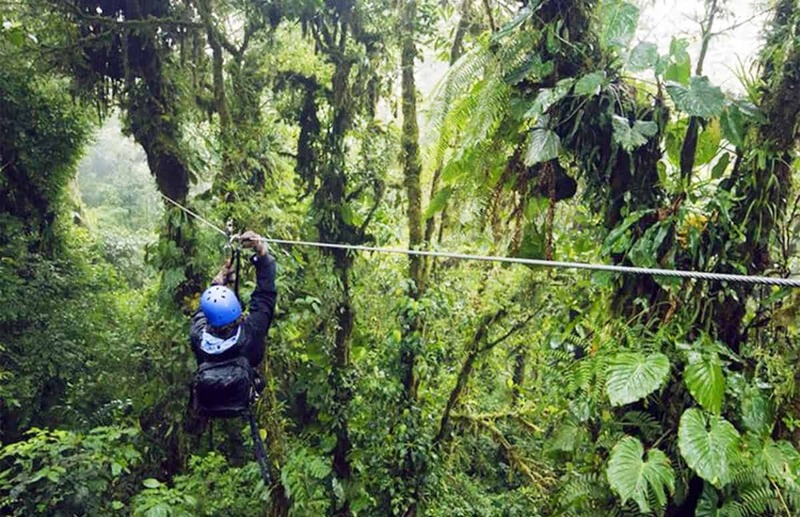 It’s possible to stay alert and avoid some obvious pitfalls while also letting go and allowing for the spontaneity that marks the very best Costa Rican adventures. It’s possible to bliss out at the beach while keeping one hand on your bag (a bag that does not contain your passport or, you know, your diamond-encrusted toothbrush collection). It’s possible to go off the beaten path, even way off as I’ve done as a reporter and longtime resident, by asking around and finding guides or companions you can trust. It’s definitely possible to walk through San José at a brisk pace and wearing what’s known as “bitchy resting face,” erring on the side of rudeness in ignoring comments or requests that might come your way, while also taking in the sights and sounds that make it one of my favorite cities to explore on foot. Talking about this issue with tourism business owners and service providers over the past year has confirmed my opinion that if those of us who interact with tourists are as open as possible about safety in this country – the good, the bad and the ugly – we increase everyone’s chances of hitting that sweet spot, that balance between alertness and relaxation. In that spirit, we asked four people who have fielded thousands of visitor questions in their respective roles to offer some of their top safety tips for a visit to Costa Rica. We’ll be publishing their responses online tomorrow (and you can find them in our March print edition, available now nationwide). My own top tip? I think it’s simply to listen. The panelists we consulted emphasized the importance of asking for safety information from people in the know, particularly the hotel, restaurant or other staff. However, it’s equally important to note that this only works if you then take their advice seriously. Most of the people you encounter, whether they are tourism specialists or just the Costa Rican family playing next to you at the beach, want you to have a great time while you’re here. I’ve seen many visitors hear cautions – whether it’s “No, really, don’t explore that neighborhood without a guide,” or “No, the riptide is too dangerous today” – and brush them aside. Sometimes the visitor draws on previous information, such as what a ‘dangerous neighborhood’ looks like in a U.S. city, or what a riptide looks like on a beach back home, and overrules the advice he or she has received. I’ve done it myself. It’s often a big mistake. Of course, not all the advice you get will be great. If you’re told to avoid an entire city or province, for example – which has happened to me – take it with a grain of salt; if you can, probe a bit further to discover where the speaker is coming from, literally and figuratively. My first host mother made me take off all my jewelry, including my virtually worthless earrings, before visiting major landmarks in downtown San José, which I now know was a wee bit excessive. But in general, it’s important to retain some humility and know that the people who live and work in the places we’re visiting have insights that we don’t. Even better, those conversations we start while finding out where we should park the car or whether it’s ok to walk across that river might lead to an exchange about more profound things. It might lead to a chat that allows you to learn what it’s like to live and work in the country you are visiting – one of the most remarkable countries on the planet. It might lead to some interaction with the people who make this place so special – and for any trip to Costa Rica, that’s the biggest sweet spot of all. For more information about living and traveling in Costa Rica, visit Costa Rica 101, our special section for how-to guides, cultural information and more. What safety tips would you like to share with us and our readers? Let us know at editorial@ticotimes.net.